The Rotary Laser Level’s main function is to emit a beam forming a 360° circle, but they can perform many other tasks as well. Their reliability and accuracy have proved themselves in practical use, even in the toughest situations. 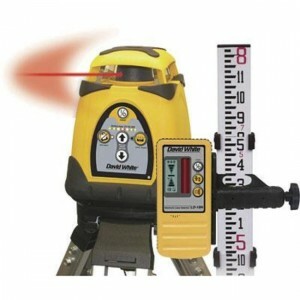 Manual rotary laser levels are ideal for entry-level, one-off jobs and where economy is important. Consider self-levelling rotary laser levels to save valuable time in setting-up. All Laser Levels come complete with a Tripod Stand, Staff and receiver.